I was driving through town the other day, and I saw a bumper sticker on the back of a car. It’s a bumper sticker I’d seen many times before. It was a pink “1 in 9” with a pink ribbon. 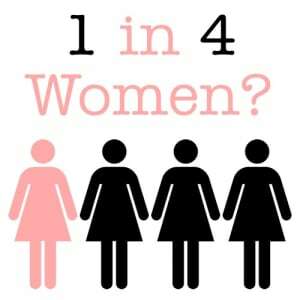 It’s a reminder that breast cancer statistically affects 1 in 9 women. That’s a scary statistic! It got me thinking about another statistic. According to the US Department of Justice, 1 out of every 4 women will be assaulted during her life. That’s freaking terrifying! Now you’re thinking, here comes the big sell! You’re partially right! Yes, I’m a martial arts teacher who operates a martial arts business. But, I’m also a father and husband. And if I didn’t run a professional school, I would still have my children, especially my daughters, train in martial arts. Martial arts give children and adults confidence. Confidence makes you interact with people differently. You walk and talk differently. You look less like a target of opportunity which is what a predator is looking for. Victims are chosen, they are not random chance!